AS A NEW POET-TEACHER for California Poets in the Schools in 2014, I found myself in need of lesson plans. Luckily for me, CPitS's Poetry Crossing: 50+ Lessons for 50 Years had just been published. My copy is highlighted in pink, yellow and blue, and marked with pen and Post-It notes. It's that kind of book, one that encourages doodles, scribbles, and dog-eared pages. Decorated throughout with children's art, reading Poetry Crossing is like rediscovering childhood. These lessons reveal their creators as poets who, although adults, possess the ability to experience the world the way a child would. Useful for teachers, writers, parents and anyone who enjoys a fresh take on creative writing the book also functions as a journey through a child's process of learning expression through language. I'd dream about rainy weather. another rain stick and a fish in Siberia. I'd go to school in someone's brain. The lesson "Moon Poems" asks children to be "poetry detectives," connecting their writing to the cycles of nature. "In the Center of the Drum" teaches children the uses of rhythm and chant. 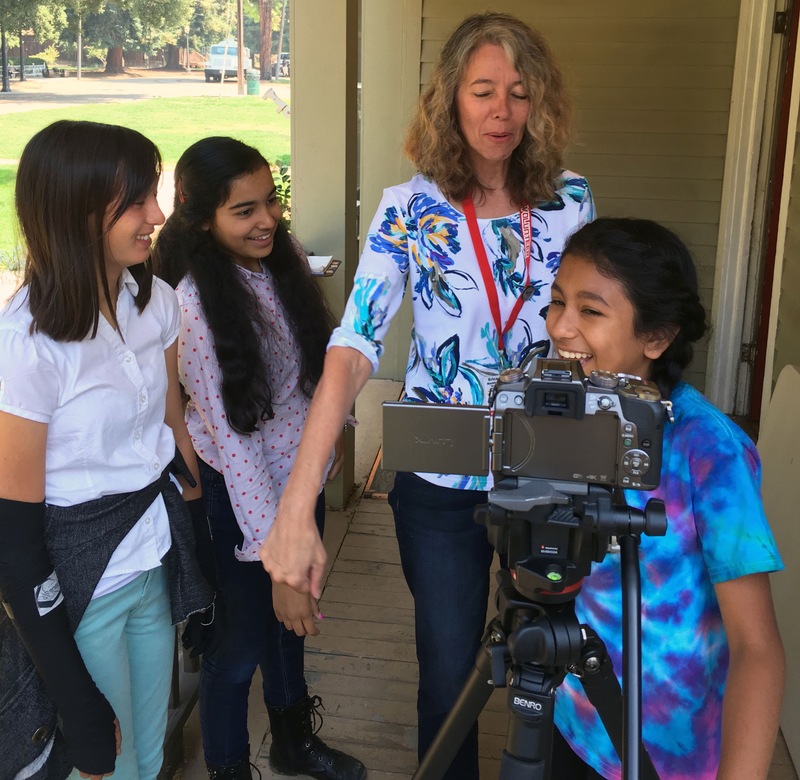 The wonderfully imaginative lesson "Breathe In, Breathe Out" prompted these lines from student poets: "Breathe in people being hurt,/ Breathe out being with my mom," and "I breathe in yucky food,/ I breathe out love." The tried-and-true are here too: color poems, phonetics, and sing-alongs, all delivered in step-by-step detail with plenty of example poems and advice to writers. These early lessons are appropriate for pre-literate children as well as for children who have begun to read and write. As Phyllis Meshulam writes in her Editor's Note, writing poetry is "an inspiring way to learn Common Core skills…use concrete words and phrases…use precise language concisely, [and] revise." "Mostly in the Middle," the largest section, is aimed primarily at third through eighth graders. As with most of the lessons, these can be used with younger and older students. "The Poem is in Your Life," for grades four through six, promises "any day can be full of poetry," a powerful statement to share with a child. Using the poem "Lost Dog" by Ellen Bass, students think about what they have lost. Thus begins the construction of memory poems. This line from a student poem, "I can smell/ the slowly walking/ fog…," brings to mind the little cat feet of Carl Sandburg's famous poem. This section also offers some challenging lessons in poetic forms. "Pantoums (Repetition)" and "Insecure About Sestinas" both break down these complex forms, showing students how to experiment without totally demystifying the beauty and unexpected juxtapositions they often create. 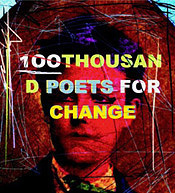 Although fairly advanced, students with a strong interest in writing poetry will no doubt enjoy these forms. One of the many things I like about Poetry Crossing is that the lessons are so easy to mix and match. For example, for a high school workshop I taught last spring, I combined "The Anti-Ode" with "We Believe in Poetry," both lessons from the last section, "Mostly For Older." I started the class by listing, in more and more hilarious detail, the things that absolutely drove the students crazy. Starting with food, we moved into homework, parents, siblings, etc. When we had a whiteboard full of things we hated, I asked the class to pick five. This took some time, but finally we had our five detestable items. At that point, I switched the lesson to "We Believe in Poetry." I asked the students how the things they didn't like reflected their personal beliefs ("what does this say about you?") After an energetic shout-out session, the students spent time writing and sharing. This is a truly joyful collection of lessons, inspirations, and children's poems. It is a lesson book and so much more. As Susan G. Wooldridge writes in the foreword, "Poems allow us to experience the joy of hearing and being heard." What a gift for children, teachers and people of all ages. 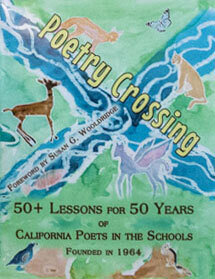 Poetry Crossing: 50+ Lessons for 50 Years of California Poets in the Schools, edited by Phyllis Meshulam, Foreword by Susan G. Wooldridge, California Poets in the Schools, 2131 19th Avenue, San San Francisco, CA 94116. See their new website at www.californiapoets.org. 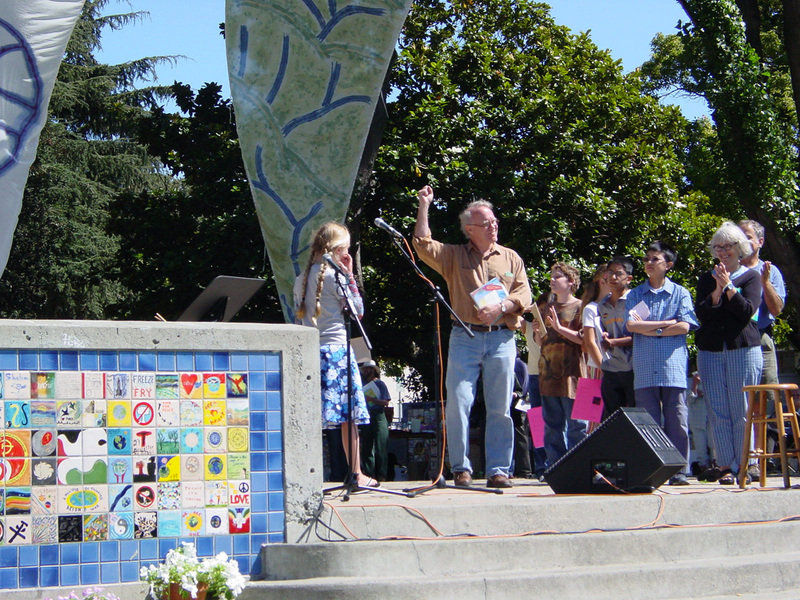 Erica Goss served as Los Gatos Poet Laureate from 2013-2016. She is a poet-teacher and Development Director for California Poets in the Schools: www.ericagoss.com.